We spend most of our home maintenance time investing in stuff like window screens, weather-proof sealants, and air-tight doors and windows. We’re taught to keep things like bugs, the heat, and cold out of our homes. It keeps us from getting sick, we tell ourselves, and yes this is true. However, if you trap the air inside your house, you’re risking air quality problems. Believe it or not, your furniture can lower the quality of your indoor air. 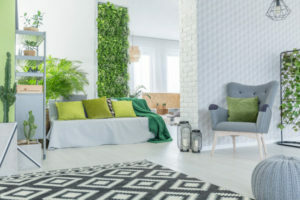 According to the U. S. Consumer Product Safety Commission, “Some sources, such as building materials, furnishings, and household products like air fresheners, release pollutants more or less continuously.” So your couch, your blankets, and other things you’re around for hours a day can emit harmful gases and chemicals. We live in a time in which most of us spend a majority of the day indoors. 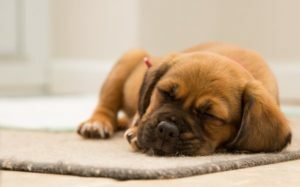 Consider the time someone sleeps in their bed, wakes up and goes to work, sits in their car to transition between home and work, and then return home. On average, many of us spend more time indoors more than outdoors now. Exposure to these pollutants are problematic for not just for people with asthma, in poor health, or are differently-enabled, but can have long-term effects on anyone if precautions aren’t taken. Here are five ways you can make the quality of your indoor air better. DIY (Do It Yourself) projects are all the rage online. Hundreds of videos are available and can teach you how to make virtually anything from home. These videos are helpful for creating Galaxy-style tennis shoes, and they’re also very helpful in helping raise your indoor air quality. Many chemical-based products, such as aerosols, are doing your house more harm than good. While it may make your house smell good and leave your counters sparkling, these products are also leaving hazardous particles in your home. The better way to clean your house is to use natural products. For instance, for the removal of hard stains, instead of going to your local store and buying a chemical product, consider investing in baking soda, vinegar, and natural citrus oil to create cleaning products that are eco-friendly and smell good! Sure, this seems like something people regularly do but how many of us admittedly wait until our floors look dirty before cleaning them? Dust isn’t just an annoyance; it’s also a breeding ground for dust mites. So, you’ll want to make it a habit to clean your floors at least once a week. When you’re cleaning once a week, consider taking a few other “shortcuts” to help keep the dust at bay. Mopping after sweeping is a good idea because it helps to get up what the broom didn’t. Vacuuming with a HEPA filter will aid in your fight as well. Lastly, don’t keep the cleaning and vacuuming to just the floors. Remember that dust settles in your upholstery and furniture as well! In especially higher humidity climates, mold and humidity love to be in each other’s company. Between 30-40 percent is the ideal humidity range. If your home is naturally more humid (i.e., if you use a swamp cooler), you’ll want to invest in a dehumidifier. Those of you with air conditioners are in luck as these can help keep the humidity down. Also, consider places like your bathroom. Showering creates humidity, which can create mold. Consider investing in a ventilation system if you don’t have one. Open a window, or crack the door. Wiping down the tiles after a shower also helps. According to the American Lung Association, cigarettes “create more than 7,000 chemicals. At least 69 of these chemicals are known to cause cancer, and many are poisonous.” These chemicals linger in everything, from the furniture to clothing, to the walls and are why a “cigarette smell” lingers in smokers’ cars and houses. These chemicals, especially when you’re exposed to them over an extended amount of time may result in health issues. Don’t underestimate the power (and beauty) of indoor plants. Not only are there a wide variety of indoor plants to pick from, but your relationship with it is symbiotic. They need CO2, and you need oxygen. It’s a win-win scenario! They help to filter your indoor air as well. Some of them even give off natural fragrances, so you don’t need to buy air fresheners anymore! 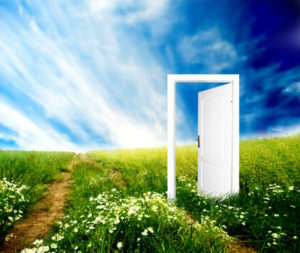 Speaking of the outdoors, don’t be afraid to open up your doors and windows in specific intervals. Get a cross-breeze going by opening them on each side of the house. Doing this for five to ten minutes a few times a day will work wonders. *Author’s note: Sources are hyperlinked. Is My AC Low on Freon? 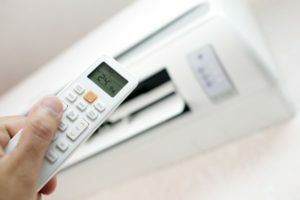 Air conditioners are fantastic at keeping a home cool. Unlike fans, air conditioning adjusts to maintain a home at a precise temperature. Throughout the summer, people trust that their AC will be there to keep their house cool. That is, as long as the air conditioner has the proper level of freon. How do can one tell when an air conditioner is running low on freon? We are going to examine some of the signs today. There are two main reasons that an air conditioner might not be keeping a home or room cold. One reason is that the unit is the wrong size for the overall area to be cooled. But, if the AC unit usually works fine for cooling the area, but now it is not then it probably lacks freon. Then It is time to call a technician to check the freon levels. If the freon levels are fine, then the technician can check the rest of the unit for problems. When the temperature in a room doesn’t feel right, compare the temperature on which the air conditioner is set with the actual room temperature. This check is an excellent way to verify if the AC unit is keeping the area regulated. A specific part of the AC unit, called the evaporator coil, handles the chilling of air. That means this is the only part of the unit that could build up condensation during normal operation. If ice is noticed building up around the air conditioner unit, it is running low on freon. Replace the freon before continuing to run the system. Water leaking into the wrong part of the AC unit can cause a short circuit. When an air conditioner unit is low on freon, it has to work harder to keep the air cold. That means that it requires additional electricity. There can be a lot of reasons that an electric bill might go up, but when troubleshooting the problem, place check freon level to the list. While an air conditioner is capable of running without the freon topped off, it should be filled as soon as possible. Many people start to notice the lack of freon when it starts to hurt their wallets. At the same time, running the risk of a unit breaking down when the freon is low will cost more in the long run because a service call to have the freon level checked is much less expensive than replacing a unit. If you have a question about your air conditioning unit contact Good Deals Heating and Cooling at 215-947-1166. Freezing up or icing up of air conditioners is a frequently encountered problem. 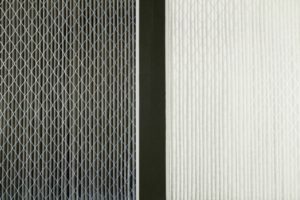 Irrespective of the fact, whether the unit is a window AC or central AC, the reasons and the solutions are similar. One cannot ignore freezing up in an air conditioner. It gives rise to two problems: inefficient cooling and potential damage if not corrected. The key is to know when to call for air conditioning repair. To understand why an air conditioner is freezing up a thermodynamics principal needs to be understood. The Joule-Thomson effect states, that when a gas expands, its pressure as well as temperature decreases. This result happens when all the other parameters are kept constant. Similarly, when a gas is compressed, the temperature increases. In other words, molecules of the air feel hot when they are moving rapidly and when they move slowly, the air feels cold. No Enough Airflow Across the Evaporator Coil: ACs are meant to bring down the temperature by drawing away the heat. If the AC is not blowing the internal air correctly over the coil, the exchange of heat does not take place. Over time, the coil temperature will drop, and the AC freezes up. Low Refrigerant: When the amount of refrigerant (freon) in the system is low, it still expands to the same amount. As stated above when gas expands, the temperature drops. As the temperature of the coil drops below the freezing point, the moisture in the air freezes when it contacts the coil, thus icing it up. Mechanical Problems: If an air conditioning repair is required then the pressure change in the system leads to freezing up. The problem may include an obstacle in the refrigerant, a non-working blower, or a blocked filter. High Outside Temperatures: When the outside air temperature is extremely high, and the AC is continuously running, the system pressure inside the unit will drop and cause freezing up. For an air conditioner freezing up on a consistent basis, call for air conditioning repair to get to the root of the problem. For assistance in the Philadelphia area, contact Good Deals Heating and Cooling at 215-947-1166. Humidity inside the house can be pretty annoying. Constant moisture can cause various health issues, ruin the interior’s appearance and may even weaken the home’s structure. Therefore, it is imperative to take all possible measures to control the humidity in the house. According to experts, indoor humidity level should stay within a range of 30 – 50%. When the level is above that there are some things you can try before calling for air conditioning repair. Maintaining appropriate humidity levels can deliver several benefits: personal comfort, indoor appearance, prevent mildew, reduce odor in clothing, better air quality, reduce dust mites, etc. Many times people feel uncomfortable not because of the temperature in the house, but the humidity level. High humidity gives a person that sweaty, sticky feeling. Lower the humidity and the thermostat can be higher and still be comfortable. Some homeowners manage to control humidity levels in their home with the assistance of air conditioners. However, to expect the best out of air conditioning systems there are a few additional tips to follow. Letting the fan run. If you keep the fan on, the AC unit will add moisture to the air as the air passes a wet coil. Make sure the fan turns off when the AC unit isn’t running. Vent the clothes dryer to outside. When a clothes dryer is running, the evaporating water is released into the air. By venting the dryer to the outdoors, most of that moist goes outside instead of remaining in the home. Bathroom and kitchen vents. Both of these rooms in the house are locations of moisture producing activities. Showers and cooking both produce steam. By having vents, the air is circulated and the moisture is removed or at least reduced in these rooms. Moisture-absorbing plants. There are plants that absorb water directly from the air. Placing these plants in the home helps keep humidity levels in check. These plants include Boston fern, English ivy, reed palm and peace lily. Repair broken air ducts. A broken or separated air duct will leak moisture back into the home instead of circulating it outdoors. Install a whole house de-humidifier. Homes located in tropical or highly humid climates may need to install a de-humidifier to keep from overtaxing the AC system. 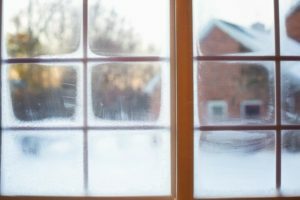 Reducing the humidity in the home not only makes for a more comfortable summer, but also may save some money on the energy bill. 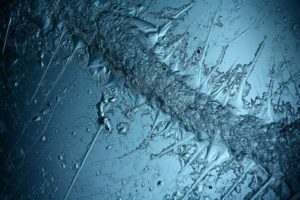 If none of these tips help the humidity level in your home, you may need to call for air conditioning repair. In the Philadelphia area contact Good Deals Heating and Cooling at 215-947-1166.